‘The Dolce Vita’ is your one-stop shop for all your Sicilian property buying requirements. We have a selection of apartments and villas in all areas of Sicily to meet your personal tastes and budget. We are not Agents ourselves, but we liaise on your behalf with local Agents to find your perfect property. Our service will remove the onerous need of you maintaining a relationship with multiple foreign estate Agents. We will provide assistance throughout the buying process, using our multi-lingual team based in the UK and locally in Sicily, working closely with government accredited local Sicilian estate Agents. We want to get to know you and understand your individual needs. Buying a property abroad can be a daunting process, so having the right partner that understands not only your language and culture, but also that of the market you’re buying in, is essential. We want to discuss your requirements, as it is key to knowing what you want and matching the correct property to those needs. ‘The Dolce Vita’ is at your disposal throughout the whole search and purchase process. Furthermore, if required, we will make offers on your behalf, liaise with mortgage brokers if financing is required, source professionals and assist with any pre-sale issues. Taking the time to search and scour a foreign property market is a time consuming and often stressful experience. Chasing multiple foreign local estate agents and developers who do not speak your native language and understand your way of thinking can create problems. Here at ‘The Dolce Vita’, we act as the intermediary to work on your behalf, so all of the stress and time consuming details can be delegated. If we do not currently have a property which meets your requirements, we will endeavor to find it. By collaborating with a network of accredited local estate Agencies across Sicily, we can source a wide range of properties, coordinate all your viewings and oversee all contractual stages of your property purchase. In foreign markets, where there are many unknowns, performing Due Diligence with the objective of verifying the level of compliance and conformity of the property is essential to avoid any problems during the property buying process. Whilst we would always strongly recommend seeking independent legal advice for any purchase, here at ‘The Dolce Vita’ we perform preliminary checks on the property covering many aspects such as ownership rights, cadastral status and building regulations. These initial checks on the property can save not only significant costs but lengthy waiting times. Sicily still has many fantastic opportunities to offer with regard to un-restored properties and due to ever increasing property prices it can often be the more economic choice. Sourcing trusted builders and contractors can be a real challenge, but here at ‘The Dolce Vita’ we can put you in touch with local tradesmen for initial quotations right through to overseeing and completing any works. The main benefit however, is that you get to create a property which fits your requirements exactly. Furthermore, we are engaged with a number of local Municipalities in different regions of Sicily, some of which may qualify Buyers to receive State subsidies to renovate old and dilapidated properties. These incentives are there to boost the local economy and increase tourism. Please speak to us about these possibilities, depending on your chosen area and budget. 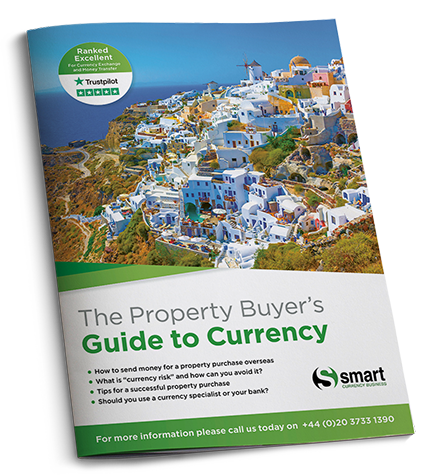 Our trusted partner, Smart Currency Exchange, has put together a very useful property ‘Buying in Italy’ guide, to inform you of the legal and taxation aspects of purchasing a property in Italy. It takes you through the key aspects of the process, as well as the pitfalls to watch out for.